Click the button below to add the Dry Scalp Shea Butter #Men's Hair# to your wish list. Instantly soothe and nourish hair for quick relief from dryness with this intense, long lasting and vitamin enriched formula for dry scalps. Formulated with refreshing and potent Manuka, Ylang Ylang and essential oils with herbal extracts of Horsetail and Nettle to help bring balance and relief to dry scalps. Our Dry Scalp Shea Butter helps relieve dry scalp, leaving it feeling calm and refreshed. Made with nature’s richest butters and oils that moisturize to control dryness. Perfect for men that may have irritated, dry, itchy hair. Our Dry Scalp Shea Butter deeply nourishes with nature’s best emollients and seals in moisture for soothing, long-lasting scalp relief. Quickly soothes dry, itchy scalps with vitamin-rich moisture from Shea, Cupuacu and Illipe butters. Provides fast relief for sensitive scalps and stops burning and flaking with nutritive moisture. Helps prevent flakiness and moisturizes dry scalps without leaving any greasy or oily residue. Works double duty as an excellent leave-in treatment to revitalize dry hair. Can be used on wet or dry hair as often as needed for all hair types and is color safe. Free of mineral oil, silicones, petroleum jelly which can create scalp buildup or clog follicles. 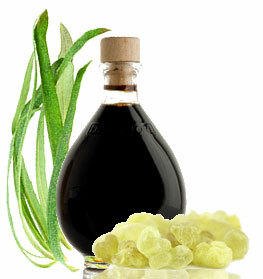 Karanja Oil has been widely used in India for a variety of skin conditions and is still used in Ayurvedic medicine. Manuka Essential Oil has been known for hundreds of years among the Maori, the original inhabitants of New Zealand, for its many beneficial skin care uses. Shea Butter has antioxidant and anti-inflammatory properties that protect both skin and hair from free radicals. It softens and protects the hair from the environment and restores dry, damaged hair by infusing it with moisture. 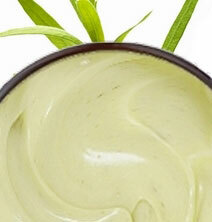 Cupuacu Butter is a great hair moisturizer that helps strengthen hair and promote a healthy scalp. Illipe Butter is used in skin and hair care products to restore, strengthen and provide elasticity to hair while infusing it with moisture. Place a small amount in palms and rub hands together. Apply sparingly to scalp and hair. • Apply to the ends of hair. They are the driest part of hair and need the most moisture. • This product can be applied as a styling cream to put hair up in a ponytail or bun. • Wash your hair less frequently. Minimize washes to at least three times a week; this will prevent damage and protect your hair color. • Dust your ends. Snip a small amount of hair every eight to ten weeks to maintain hair health. • Avoid styling products that contain alcohol. These products will dry and damage hair over time. • Stop forcefully brushing your hair. This method can cause your hair to rip and tear, causing damage and breakage to perfectly healthy hair. • Prep your hair for the pool by adding conditioner to your hair. This will protect hair from the chemicals in the pool. Aloe Barbadensis (Aloe Vera Hydrosol), Butyrospermum Parkii (Shea Butter), Pongamia Glabra (Karanja) Oil, Theobroma Grandiflorum (Cupuacu Butter), Shorea Stenoptera (Illipe Butter), Simmondsia Chinensis (Jojoba) Oil, Daucus Carota (Carrot Seed) Oil, Punica Granatum (Pomegranate Seed) Oil, Vitis Vinifera (Grapeseed) Oil, Persea Americana (Avocado) Oil, Cetyl Alcohol, Glyceryl Stearate, Mauritia Flexuosa (Buriti) Oil, Leptospermum Scoparium (Manuka) Oil, Sodium Lauroyl Lactylate, Cananga Odorata (Ylang Ylang) Oil, Citrus Sinensis (Orange Peel) Oil, Chamomilla Recutita (Matricaria) Flower Oil, Equisetum Arvense (Horsetail) Extract, Glyceryl Caprylate, Phenethyl Alcohol, Urtica Dioica (Nettle Root) Extract, Tocopherol (Vitamin E). Customer Product reviews and testimonials are provided for informational purposes only. Customer Product reviews and testimonials reflect the individual Product reviewer’s results and experiences only. Product results may vary based on individual user. There's no guarantee of specific results and results can vary. Is Silky smooth. That's the best way to describe my hair after using this wonderful product. You will not be disappointed! It's especially good if you wash your hair, and, before blow drying it, you rub it in your hands, and just smooth it all over the wet hair. Blowdry as normal and the hair comes out silky, shiny, and gorgeous. II love this product! It is lightweight and doesn't leave a residue feeling on your hair. My hair was silky soft and there was no frizz to be seen.. I never go without a leave in conditioner in my hair and this is one of the best have ever tried. I absolutely love this product. It truly does smooth and soften the frizziest hair around, plus it gives a little bit of hold. My hair is gorgeous! I say bring on summer, my curls are ready. Wow! This stuff smells great and softens your hair. I use it all the time and will definitely re-order this product. This cream leaves your hair soft and full of moisture. The shea butter doesn't have a distinct smell, but you can see that there are natural ingredients in this product.My scalp did not feel disturbed nor dirty. My flakes were gone, and my hair was beautiful, shiny and under control. I love this product. I've been using for years. It's the only thing so far that does not irritate my scalp. It's light and does not leave my scalp or hair too shiny. A little goes a long way. This scalp treatment is chock-full of good stuff and it works. I put it on my scalp when I go to bed. In the morning, I wash my hair with one of your wonderful shampoos. My hair is glossy and my scalp itch is gone. My husband and I were looking for a cream that would diminish that the dryness from our scalps. We have used this several times and this cream leaves the hair soft and the scalp free of patches and flakes. I think that my husband loves this product more than I do!